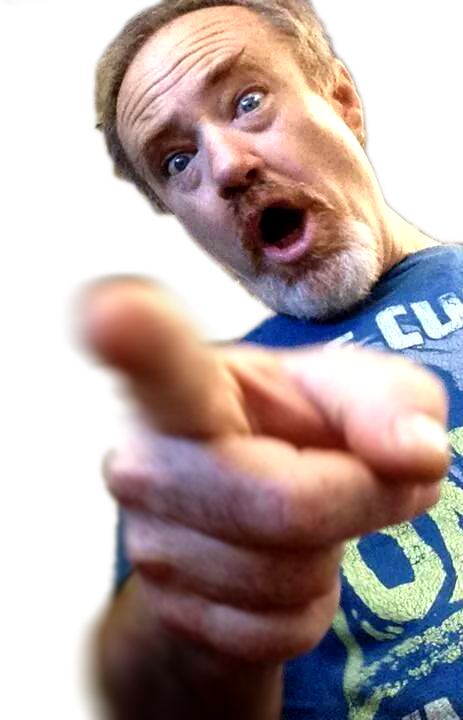 Rob Burman is a damned nice fella and kindly took some time to share some of his wisdom, and we are all grateful he did. Thanks, Rob! If you don’t know the name ‘Burman‘ then you must be pretty new to the FX world, because frankly the name is as synonymous with makeup and practical effects as The Rolling Stones is to music. Rob is a third generation Burman, and the name is found in the credits of some of the most well-known horror and Sci-Fi movies ever shot. Being from the Burman legacy doesn’t get you a free ride though – this guy has forgotten more than many will know and has a hefty list of credits to prove it. …if this doesn’t mean anything to you, then we can’t be friends. Just sayin’…. 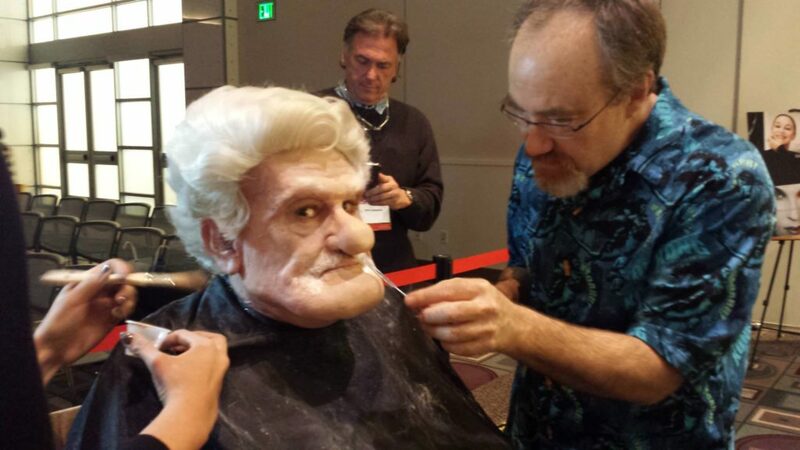 Even more, he regularly teaches as a guest tutor, demonstrates at trade shows like IMATs where he regularly blows everyone away with his larger-than-life characters (check out the ‘Carl’ makeup based on the Pixar movie ‘UP’) and has some excellent lessons on the Stan Winston School for Character Arts. Known as a great sculptor and teacher, he also has extensive experience with foam latex, which is what we focus mostly on in our podcast. Silicone has been the poster boy material for prosthetics for a while now, and it is an excellent material for prosthetics. However, foam is not such a squeaky wheel, and as such doesn’t get the oil. It never went away, and because of the skill and equipment involved in it’s manufacture, many makeup schools don’t cover it nearly as much as they should. 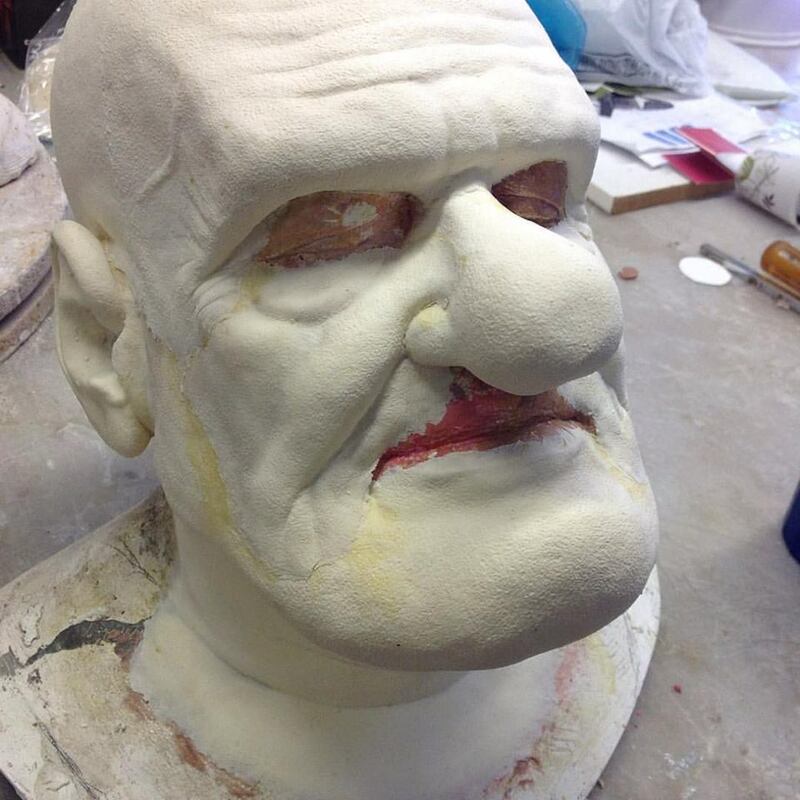 Rob has taught the manufacture and use of foam latex extensively, and his new laboratory workshops are certainly worth checking out if you are serious about FX! Check it out at Rob Burman’s Laboratory! Also, if you need pieces (but aren’t in a position to make them’ then check out Rubberwear, an extensive catalogue of ready-made appliances. Rob is always busy working on something, so we were incredibly fortunate to have Todd grab him for an interview where he drops wisdom bombs like they were going out of style. Seriously, grab a coffee, download and listen to this guy because it’s worth every minute! Listen or download for free below! As always, we like it when people say nice things about us, so if you enjoy the podcast then please share it with a friend, like us on Facebook and if you can, leave a short review on iTunes. Doesn’t need to be a lengthy paragraph, just a few words to show your support, let us know who is listening and it tells iTunes that we have an active community. 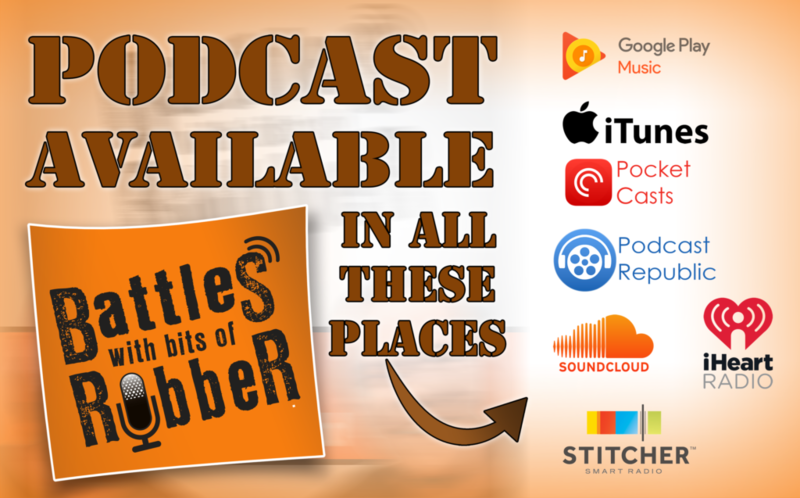 We are also on Souncloud, Google Play Music, Stitcher and iHeartRadio to name but a few – you can listen online or download to listen on a drive to work or walking the dog. Or whatever animal you may need to walk around the block. Also you can email us directly on stuartandtodd@gmail.com! Love his work, he comes from a long line of effects geniuses in Hollywood. I enjoyed this implicitly, thanks guys!